Entries for the Coachford Autumn Festival 5 Mile Road Race can now be done online atwww.eventmaster.ie . Entry for the race on Friday August 16th is €10 and there is no booking fee. The race which is approved by the Athletics Association of Ireland starts at 7.30pm and will take runners on a mostly flat circuit in and around the village. The race is sponsored by Sorrell Physical Therapy and Fitness and is expected to attract a large entry. 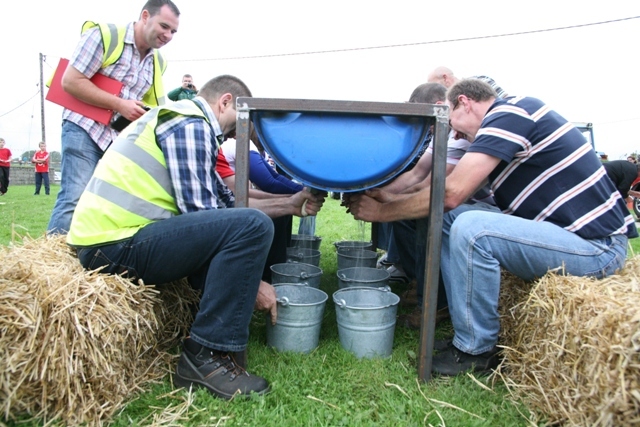 The Bachelor of the Festival will see a dozen bachelors take to the stage at this years Coachford Autumn Festival in an attempt to be named as the most eligible Bachelor and to bag the €300 cash prize that goes with the title. These 12 brave souls will be interviewed by the excellent Annette Dilworth Enright as she attempts to give the audience a flavour of their personalities and endear them to the voters. The Bachelors, who have been nominated by local businesses and organisations come from all over Mid Cork and they are eager to raise money for Suicide Aware and local charities. Festival Secretary, Peter Dineen said, “Some of these men are confirmed Bachelors while others are only just starting out in the dating game and the remainder may be in a relationship but are open to offers from available women!. We are again very thankful for all of those competing as they are putting themselves forward to raise money for charities. Votes are only €1.00 each and can be bought on the night.” The GAA club are providing the venue and the music and there will be full bar facilities available. Entry to the Bachelor of the festival costs only €5. Three new awards will be given out at this year’s festival. The organizers are anxious to celebrate those nearest and dearest to us and are holding a Bonny Baby, Yummy Mummy and Glamorous Granny competition. The Bonny Baby competition is sponsored by Coachford Childcare Centre and is open to all babies from 0-24 months. The Yummy Mummy competition, sponsored by Stylz Hairdressers ,Coachford is open to every Mother, Mum and Mummy. The Glamorous Granny competition, sponsored by Stylz Beauty Rooms, Coachford is open to all Grans, Nans, Nanas and Grannies. Entry for all competitions is free and will be taken on the day of the show. Coachford AFC visited Blarney on Saturday night not to play a pre season friendly but to celebrate their historic Premier League victory. 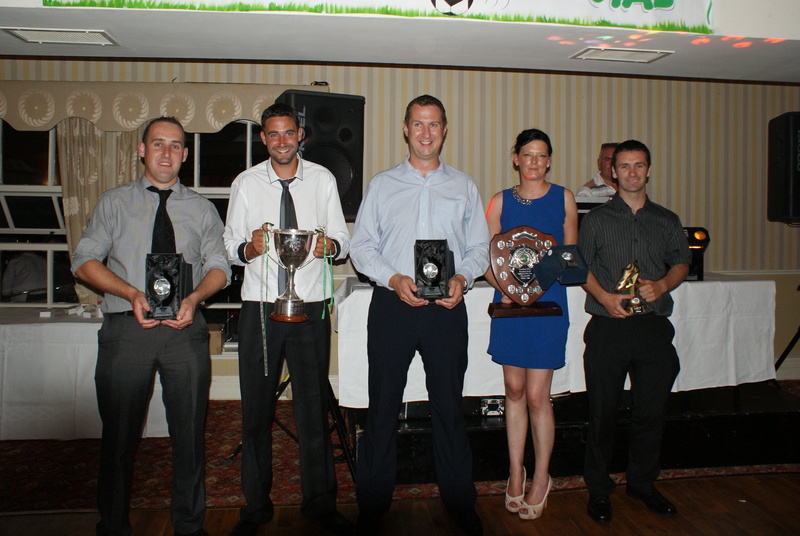 The players, officials and supporters all gathered in the Blarney Castle Hotel to honour the premier team and the outstanding players and club officials for the 2012/13 season. As the fabulous meal ended, Club Chairman, Joe Ronan addressed the audience and praised all those responsible for the very successful season the club enjoyed during the last twelve months. He thanked the coaches of the two senior teams, the former chairman, Thady Delaney and all those responsible for keeping the three pitches in superb condition during the playing season. He had a special word of thanks for the club’s sponsors, O’Callaghan’s Bar for their tremendous support all year. The division two team manager, John O’Sullivan thanked his players for the hard work they put in during the year and presented Joe Ronan the ‘Player of the Year’ award. The Premier team manager, Michael Walsh then presented his team players their winners medals and spoke on each and every player and what each of them brought to the team during the year. The Premier team ‘Player of the Year’ award went to goalkeeper Peter O Riordan and was a very popular choice as he received a standing ovation from his team mates as he accepted the award. The ‘Golden Boot’ award went to Alan Jeffers for the 34 goals he scored during the season. Michael also paid tribute to his back room team of Donal Moynihan, Maurice Kenneally and Shane ‘Scary’ O’ Leary for their hard work throughout the season. He stressed that this success would not have been possible without the input of the entire panel and the help of the club, especially Thady Delaney and Danny Boy O’Connell. Finishing up he added that this victory social should be an annual event and he and his coaches and players would work hard in retaining the Premier League title. Club person of the year went to the wonderful Olive O’ Sullivan for her tireless work behind the scenes all year and for the way she is bringing on the next generation of players for the club as she coaches the under 8′s and under 10′s. Everyone present went on to have a great night celebrating the past season and the coaches were seen planning for the next 2013/14 campaign. The Killanardrish/Coachford AFC Schoolboys will be presented with their medals on Thursday August 1st at a function in the Lee Valley Golf and Country Club. The under 12s and 13 squads had a very successful 2012.2013 season and some of the players will be picking up league and cup medals. There was no winner of the Coachford AFC lotto. The jackpot was €1,000 and the numbers drawn were 3, 5, and 28. The Lucky dip winners were Oisin Fogarty (€40), Olive Mary Michelle, Tessie Sheehan, Pods, and Martin O Mahony (€20 each). Next week’s jackpot is €1200 and the draw takes place in O Callaghan’s Bar.